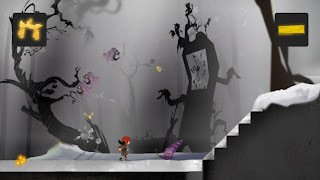 A week ago, LucasArts' released a new game to the XBLA landscape, Lucidity. I've spent the last week between sessions of Uncharted 2 and Brutal Legend playing this little gem. 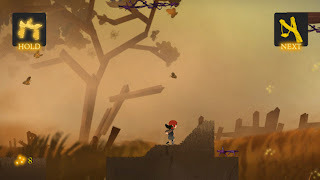 A unique title to be sure, in the vein of last year's Braid, you control pieces of the environment, as you help Sofi navigate her way through surreal worlds safely. Like Braid, this game fits in the "Games as Art" category, weaving a dream-like narrative with beautifully rendered environments, music, and a unique gameplay experience. Unlike Braid, you don't control your character. Instead, the game spits out randomly generated puzzle pieces that you can cycle through to help Sofi get from one end of the level to the other. You'll use stairs, floors, slingshots, wind tunnels, etc to safely bring Sofi to the end, at which point she'll receive a postcard from her Grandmother. 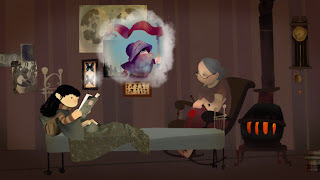 After each level, the postcards unravel more clues as to how she can escape her dreamscapes. 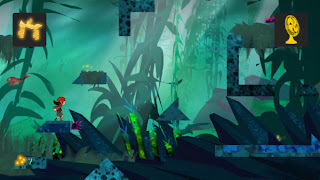 You'll traverse these worlds with Sofi, and collect Firefly's along the way. Overall, Lucidity is a unique experience, but for 800 Microsoft Points ($10) it's difficult to say whether it's a must-play. We recommend trying out the demo, and letting it speak for itself. But if for some reason you're one of those people who just hate playing demo's (you know how you are), then do take our word that if you enjoy an experience that's full of gameplay surprises, levels that truly force you to think differently, but also require you to think fast, as many times you're battling the clock, as well as the environments. Lucidity is available now for Xbox LIVE Arcade and PC via Steam and/or Direct2Drive for 800 points/$9.99 respectively. Mashbuttons did receive a review copy from the publisher.